If your system is slow to boot, for instance, then use the Startup Manager to locate and disable unnecessary Windows startup programs, Explorer extensions and even IE add-ons for a comprehensive list. And BoostSpeed can highlight "dangerous" items, programs it believes may be spyware, for an additional security benefit. 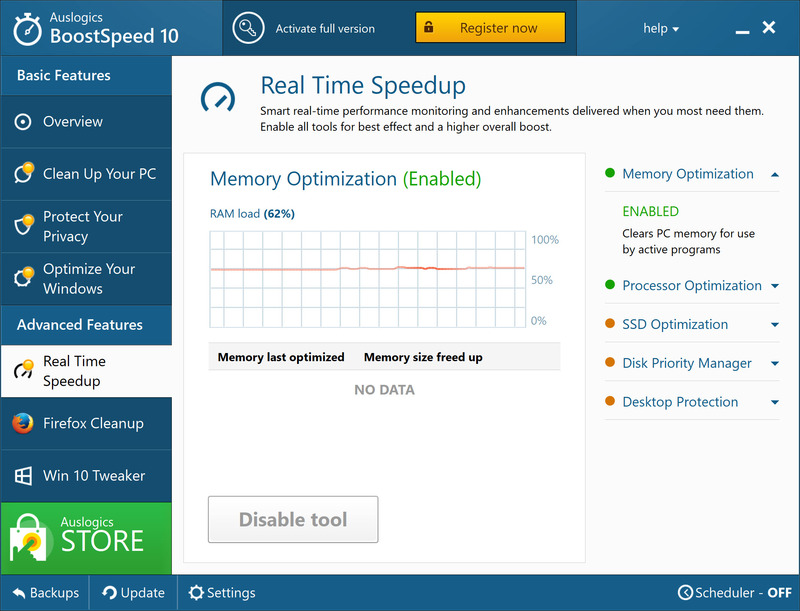 BoostSpeed also has other key features, in particular to its Live Speedup module. A Disk Priority Manager optimises applications in real time, your hard drive is monitored to prevent file fragmentation, while disk and Registry cleanups can now be run automatically. Elsewhere, a Desktop Protection tool prevents system library errors and reduces system crashes. Privacy improvements include a tool to help detect visits to sites containing adult content. And a host of smaller tweaks enhance the program's effectiveness, fix bugs, improve configurability, and generally ensure it does an even better job of boosting your PCs performance. Lastly, a customisable user-interface enables you to select between seven different skins, so you can pick a UI that meets your visual requirements.